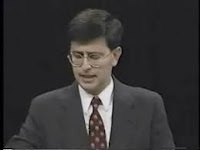 John Mangopoulos is a rightwing extremist and alt-right activist from Lansing, Michigan, who currently hosts the show “Battle of Ideas” and once ran for U.S. Congress against Debbie Stabenow and Susan Grimes Munsell; Mangopoulos was endorsed by the Reform Party. Another group that commits child abuse is the gays, and Mangopoulos claims that homosexuals account for nearly half of all molestations even though homosexuals themselves make up roughly 2 percent of the population. This is … not correct. He has even coined a word, “homonausia”, which expresses the “true feelings of normal people toward homosexuality and homosexualism,” since to bigoted lunatics like Mangopoulos it is inconceivable that other people may be less bigoted than himself without having mental health problems. Here is Mangopoulos thanking God for sending Katrina to New Orleans to get rid of the gays, and claiming that the people of New Orleans are lucky he’s not God, since he would have done far more than sending a simple hurricane. He also brags about having been engaged with imaginary bogeymen in the imaginary war on Christmas long before “O’Reilly made it fashionable”. Mangopoulos likes to emphasize the inclusivity of Christmas celebrations as compared to the exclusivity of Kwanzaa, which he calls a phony, made up, “holiday” and the antithesis to Christmas. The main reason Christmas celebrations are more inclusive is because he likes Christmas celebrations and has no interest in any alternatives, therefore they exclude him. He has offered Merry Christmas greetings to Jews, Muslims, and others to make his point, which surely offends them very deeply (even beyond the rather obvious fact that Mangopoulos isn’t really wishing them merry anything, of course). Trivia: On his youtube videos, commenters regularly mistake him for Stephen Colbert’s impersonation of rightwing crazies (Mangopoulos sort of does look a bit like Colbert), making the comment sections mildly amusing. Indeed, since the idea was raised, I am not completely sure myself that Mangopoulos isn’t just a Colbert persona. Diagnosis: With the small caveat that he might be a poe, Mangopoulos is definitely one of the most furiously confused, bigoted religious extremists in the US. He seems to be pretty obscure, however. Not a Colbert persona, Mangopoulos is very real & has been a true parasite here in lansing since the mid 90s. The worst part is, he has a following.